We offer a wide range of mutual funds. You can choose from more than 5000 mutual funds from some of the most prominent fund families. So, whatever your investing strategy, we offer convenience, value and easy access to meet your needs. 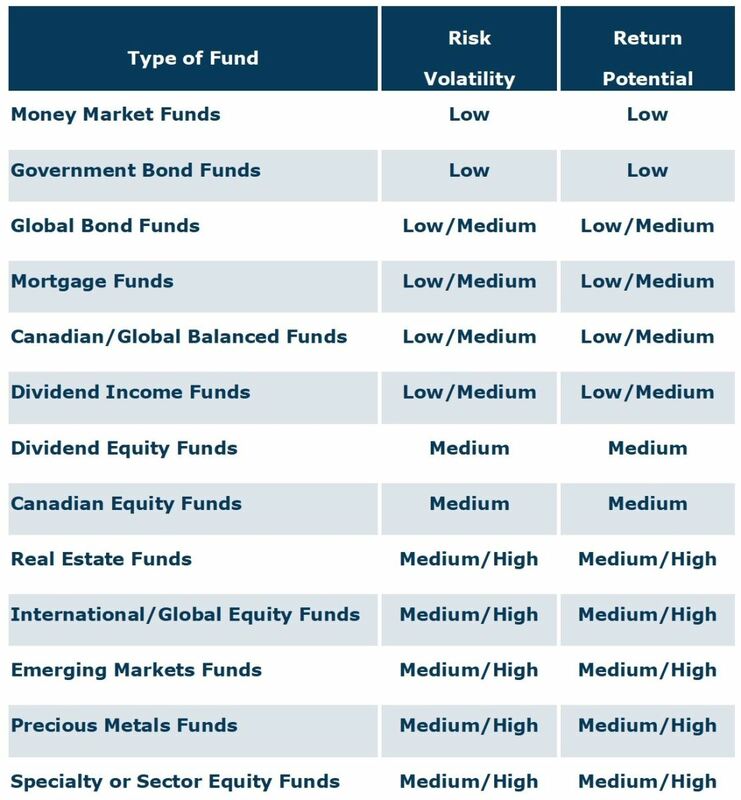 Below is a list of mutual fund with the categories or areas in which they are invested including the general risk or volitility and the return potential. If you have any specific questions send us an email and we would be pleased to help. GP Wealth Management Financial Advisor or Planner Reviewing your Investment Portfolio? We encourage you to talk to us. Click here, if you would like to discuss your education planning or to receive information by mail.